At the time of writing this, my hair is bum length and in healthy condition. I have written about how I keep my hair in good condition in my hair routine post so go ahead and check that out if you want to learn about conditioning your hair. 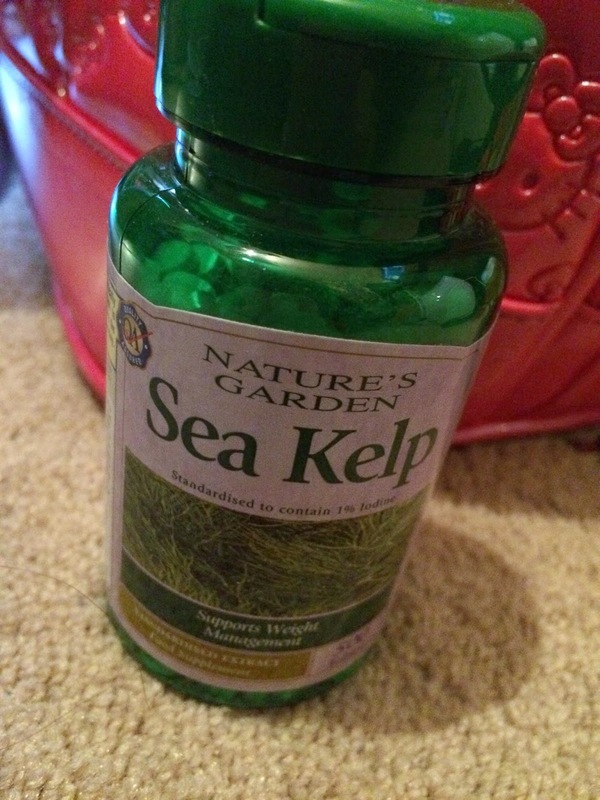 I have been taking a Sea Kelp supplement for a while now and I feel that I'm ready to give an honest review about how it has improved the health of my hair. Kelp is algae sourced from the ocean. It is rich in minerals such as magnesium, calcium, zinc and iron. It is also a rich source of iodine (which contributes to the maintenance of normal thyroid function). Sea Kelp also contains vitamin A, vitamin K and amino acids. Amino Acids are important for hair health, in particular L-Lysine which is contained in Sea Kelp. Iron also has a positive impact upon hair growth. Since taking Sea Kelp, my hair has been growing much quicker. There is a lot less shedding, which I am incredibly impressed with. I am really pleased with this supplement - it has worked a lot better for me than Biotin and Horsetail. I hardly ever shed any hairs since taking this. Please note that if you're on thyroid medication or have to limit your iodine levels, do not take this supplement. It contains high levels of iodine. Other than that - I would totally recommend taking this as my hair has never felt better. £££: Holland and Barrett: £5.99 for 250 tablets, £10.79 for 500 tablets. Labels: beauty, hair care, hair growth, hair health, hair loss, haircare, haul, health, healthy, holland and barrett, kelp, long hair, nutrition, review, sea kelp, supplements, weight loss.